Tenor: 3½ cwt approx. in . 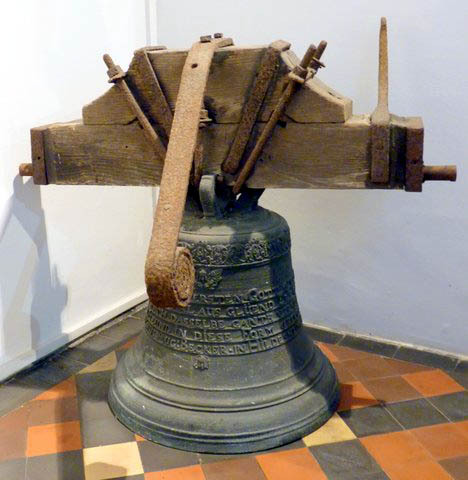 1757 A bell was cast by the German bell founder, Christoph August Becker. The church hadn't been built at this stage so was clearly second hand when the tower was finally completed. 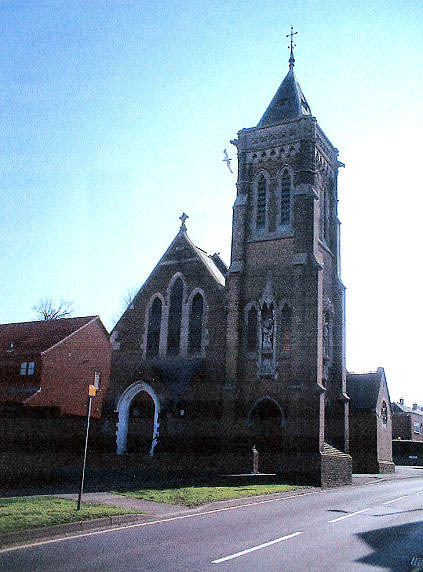 1881 The church was designed in the Gothic style by Peter Paul Pugin and Cuthbert Pugin and the foundation stone laid in that year. It was completed in 1890 and the detatched south west tower was not cimpleted until 1897. The church is the only remaining part of the convent of the Order of the Visitation of Holy Mary. Originally founded in France in 1610 a Polish branch was expelled in 1865, first to Germany and then moved to England at the time of the Franco-Prussian War and arrived in Walmer in 1875. The nuns had apparently intended to move to New Zealand, but were persuaded by Miss Catharine Boys to remain in Walmer where they acquired a house called Roselands with substantial grounds where they built a convent and chapel. The convent, an enclosed order, left Walmer in 1971 and most of the convent was demolished in 1982. The bell standing on the floor of the church.